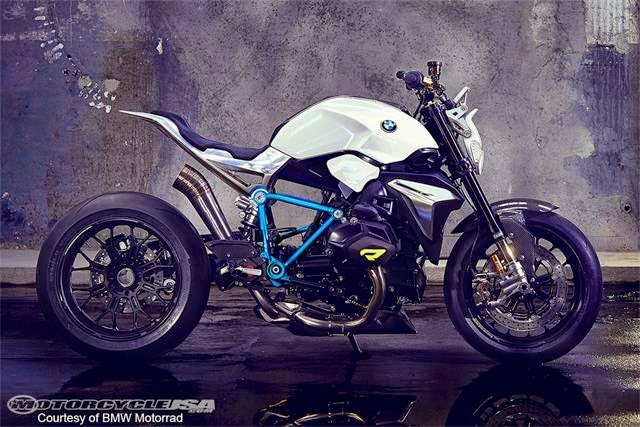 Concorso d'Eleganza Villa d'Este 2014 which held in Lake Como, Italy, on May 23 to 25, 2014, to witness the presence of the most ferocious concept motorcycle of BMW Motorrad which are presented to the world. It is the Concept Roadster that came with the minimalist design and the ultra-modern looks. From its figure that presents a futuristic design. But the difference, this time more simple and simple, to emphasize the effect of strong light and nimble invited but having fun. 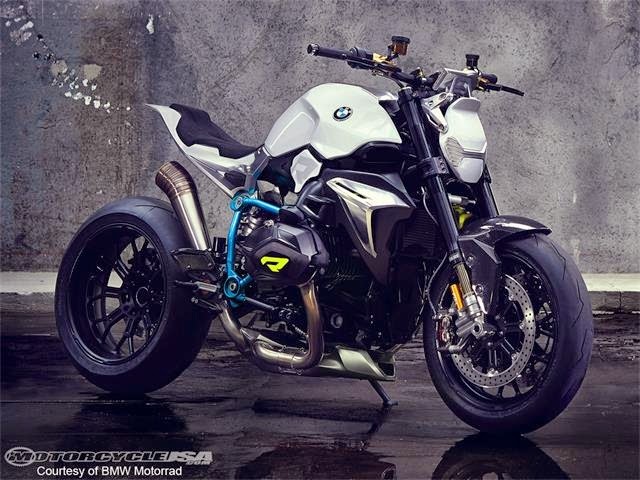 BMW Motorrad install a two-cylinder boxer engine with a capacity of 1,170 cc could spewing power of 92 kW (125 bhp) @ 7,750 rpm and torque of 125 Nm @ 6,500 rpm. This engine is invested in black with accents of the letter "R" in yellow. Energy is distributed to the rear tires through axle or driveshaft, and combined with the rear suspension that uses a single-side swing arms. Under its engine, there is a kind of spoiler that said to adding aerodynamics. Radical formation emerging from the blue frame that stands between the dark part of the engine. The bones were connected with the sub-frame made ​​of milled aluminum to support its seat and taper-shaped tail. Milled aluminum is also used for water intake, offers a color contrasting with the dark glossy radiator. The material is also used to close the valve. Color and style combined with exhaust pipe bend, wriggle from the machine head spoiler and ends on the right side above. Full LED headlamps and flat model that brings a breath of futuristic and light effects. The instrument panel is also modest. Frontend is more efficient firm with the presence of a pair of upside down suspension, and brake calipers from Brembo are ready to stop the speed of a motorcycle. Many people say, that BMW managed to turn the bike to really pamper men, from design to performance. All displayed in a balanced way, not greater, including energy passes.